Levi Black is a pseudonym of author James R. Tuck. He lives in Metro Atlanta with his wife and an array of toys, books, records, and comics. He’s been weird his whole life and is almost as scary as he looks. 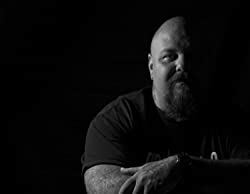 He co-hosts THE FANBOY AND GEEK GIRL POWER HOUR, a comic book based pop culture podcast with his wife D. H. Tuck on Project iRadio. Click here for more stories by Levi Black. I’m enjoying the current upswing in H.P. Lovecraft-influenced horror. Modern writers are expanding upon the best elements of his authorial legacy, like the Elder Gods, inter-dimensional travel, and Things Which Should Not Be, while setting aside (or, with regards to authors like Ruthanna Emrys and Victor Lavalle, directly subverting and confronting) the racism, classism, and sexism. Similarly-minded readers will want to make note of Red Right Hand (2016), Levi Black’s debut novel and a fine addition to the weird fiction genre. 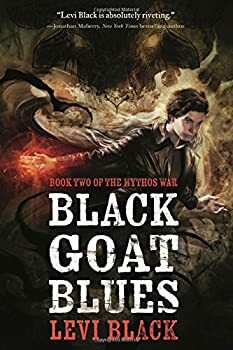 Levi Black’s Black Goat Blues (2017) is the follow-up to his fantastically twisted horror novel Red Right Hand, and while it wasn’t everything I hoped it would be, Black Goat Blues is still a compulsive page-turner that I couldn’t put down until I’d reached the end. Warning: it is essential that you read these books in order. Seriously.